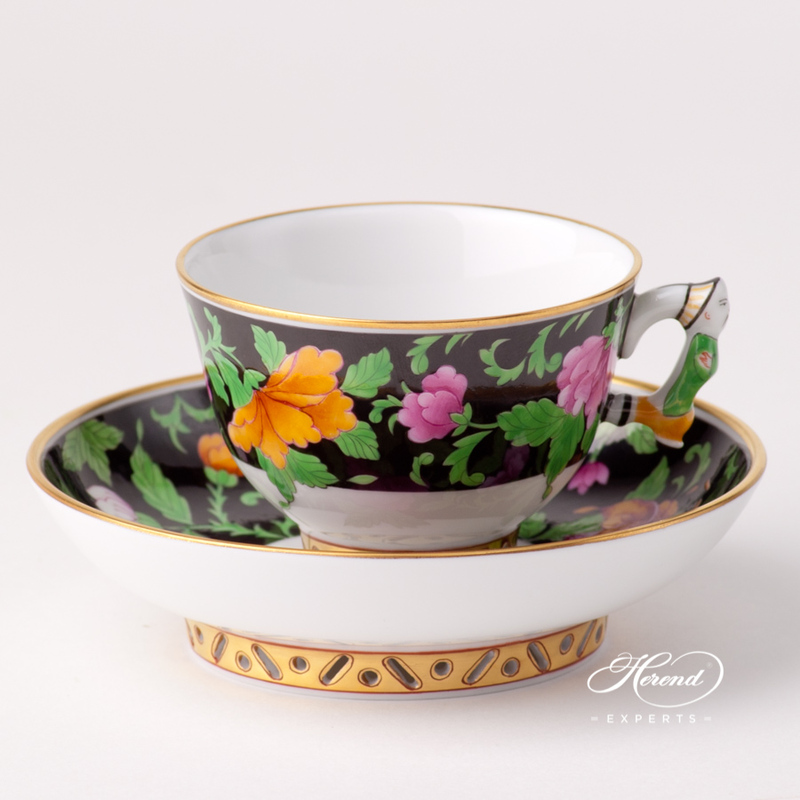 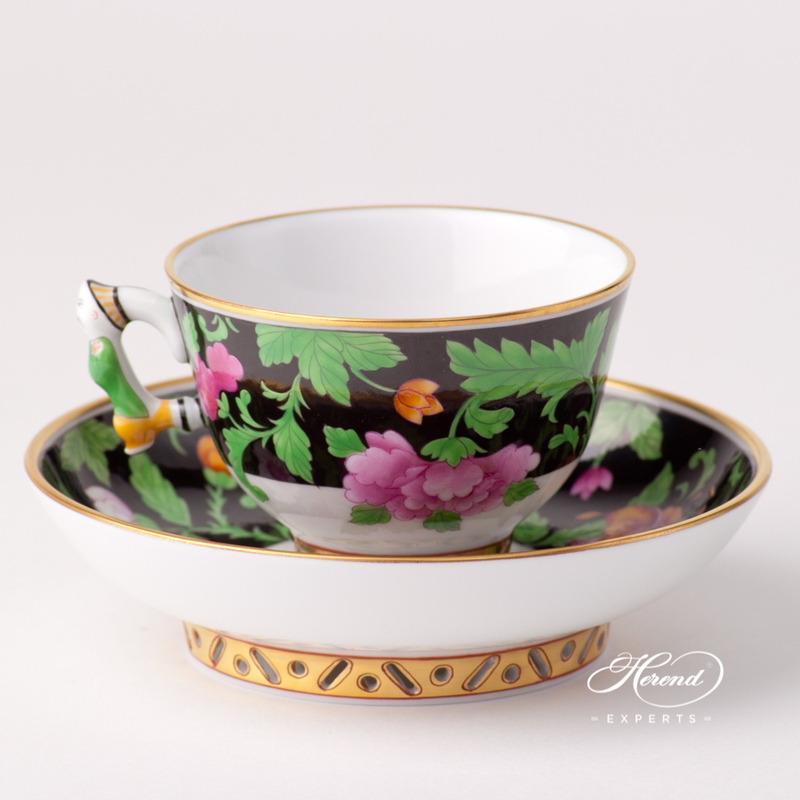 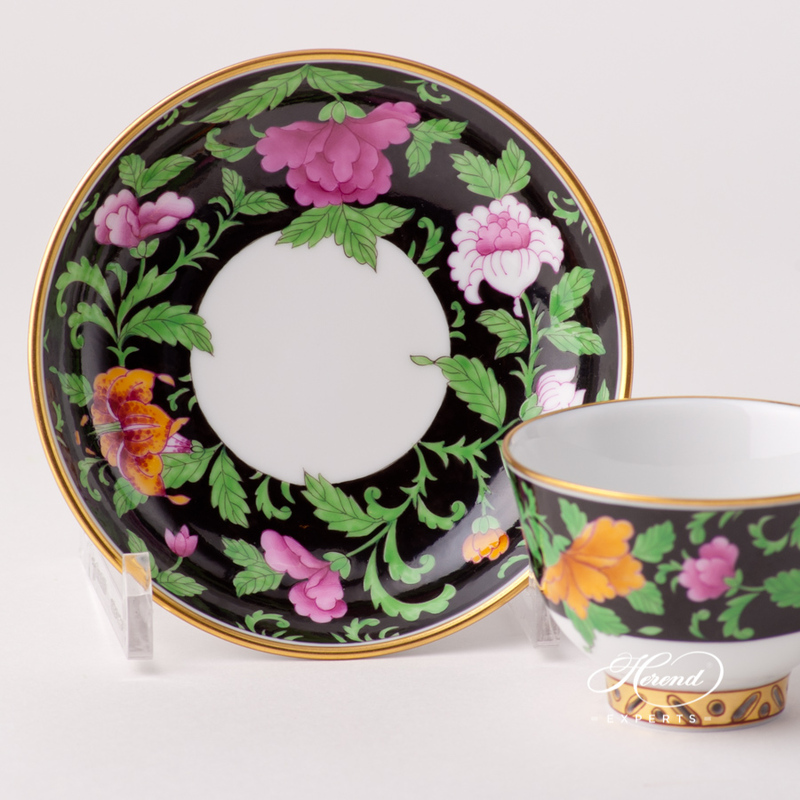 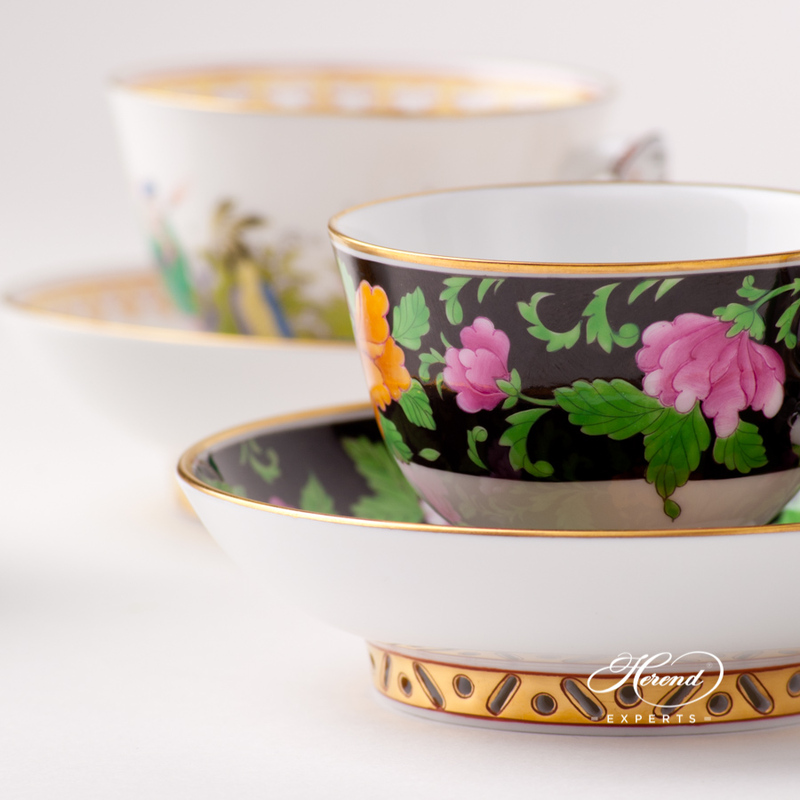 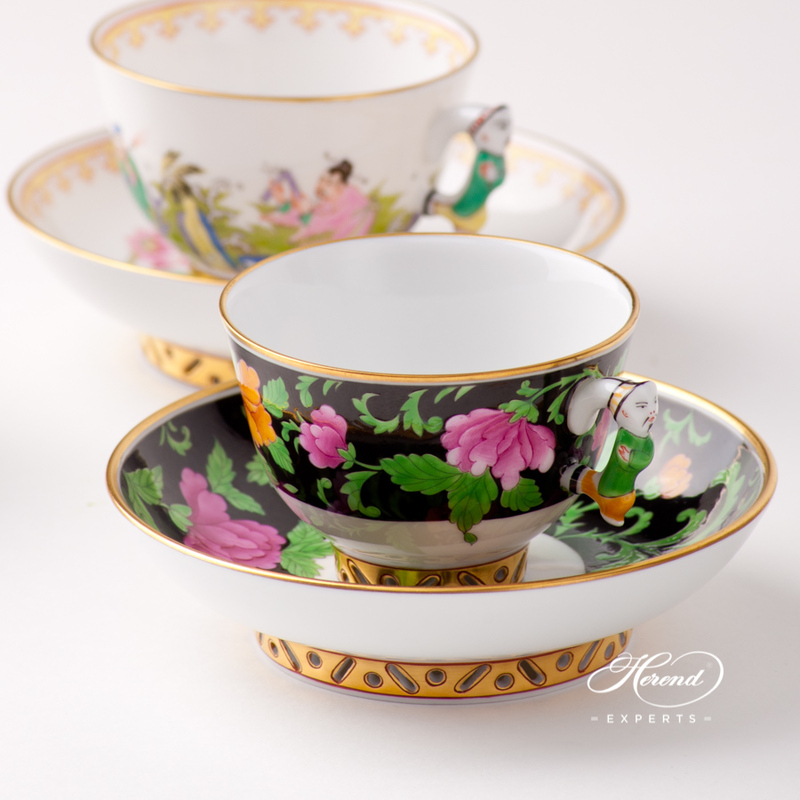 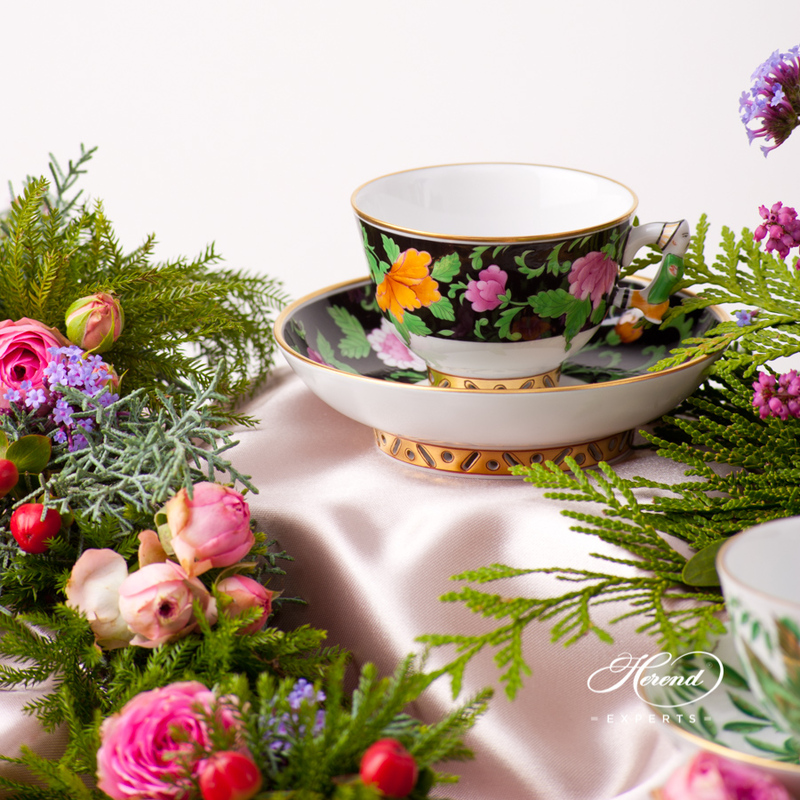 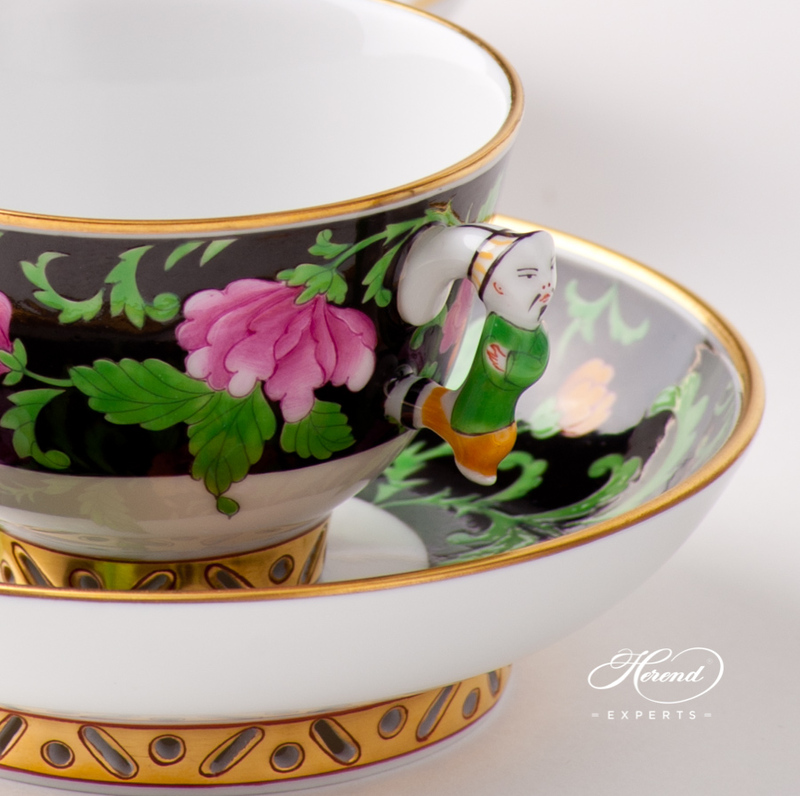 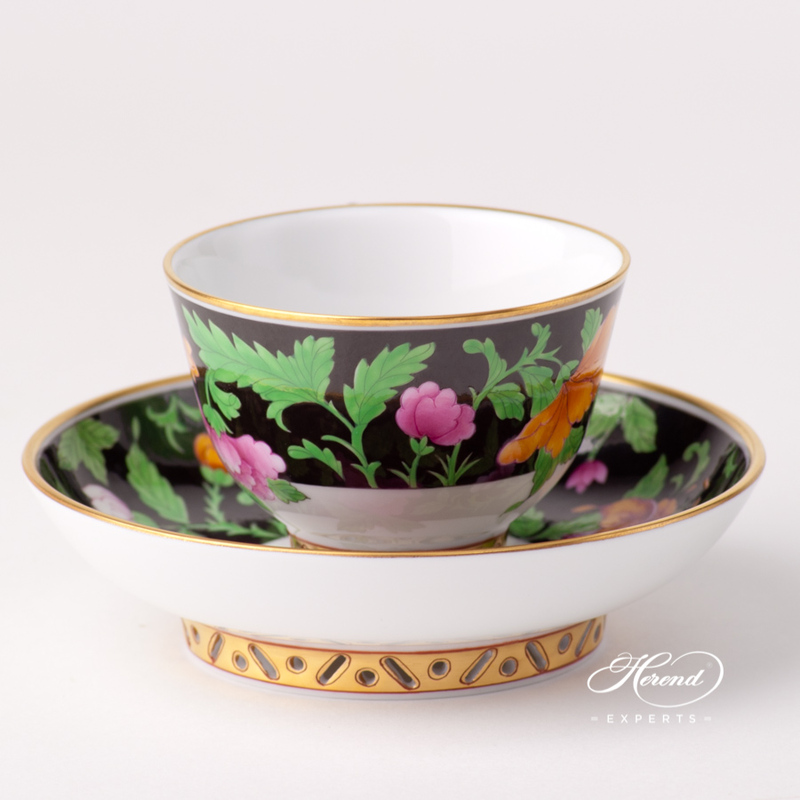 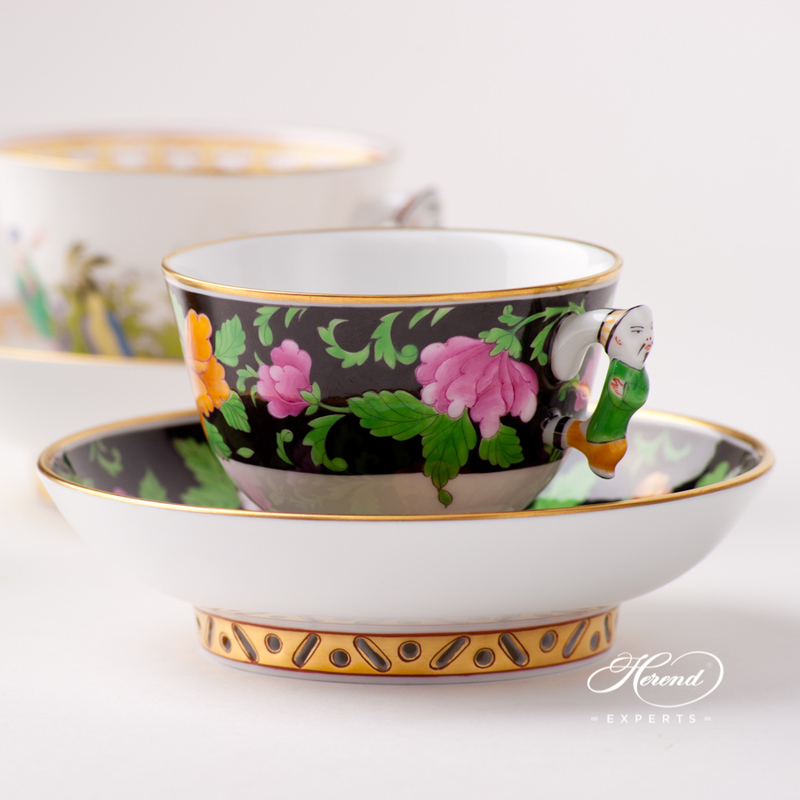 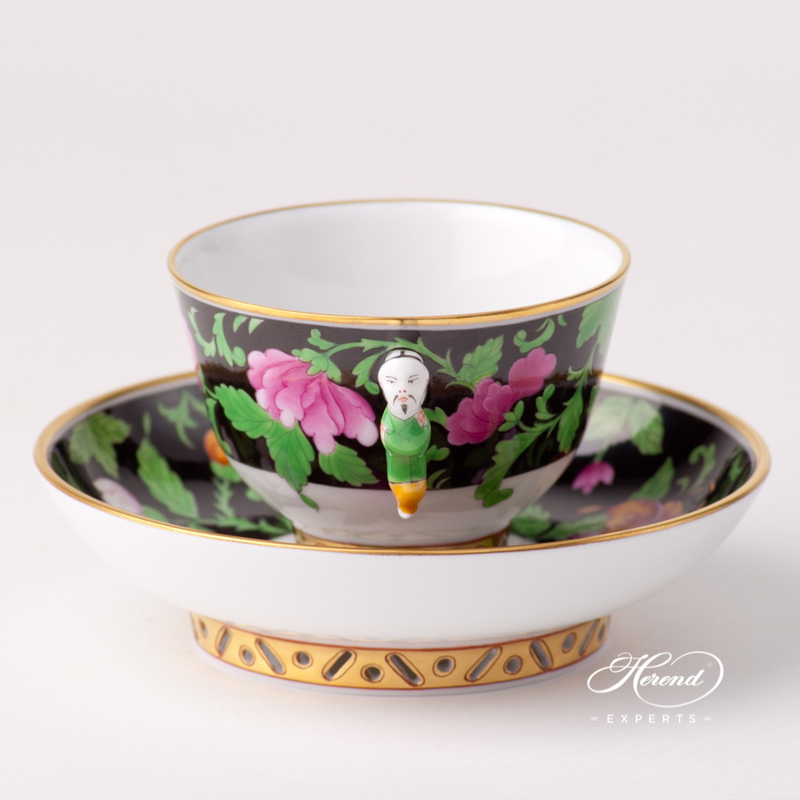 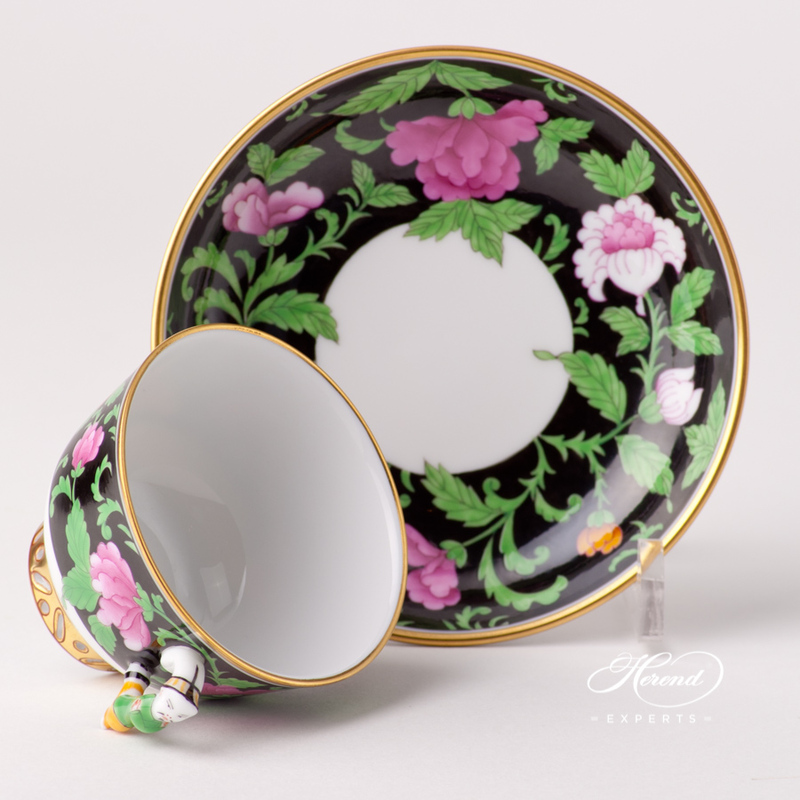 Herend porcelain Coffee / Espresso Cup with Saucer - Herend Guangxi Peonies - QUA design. 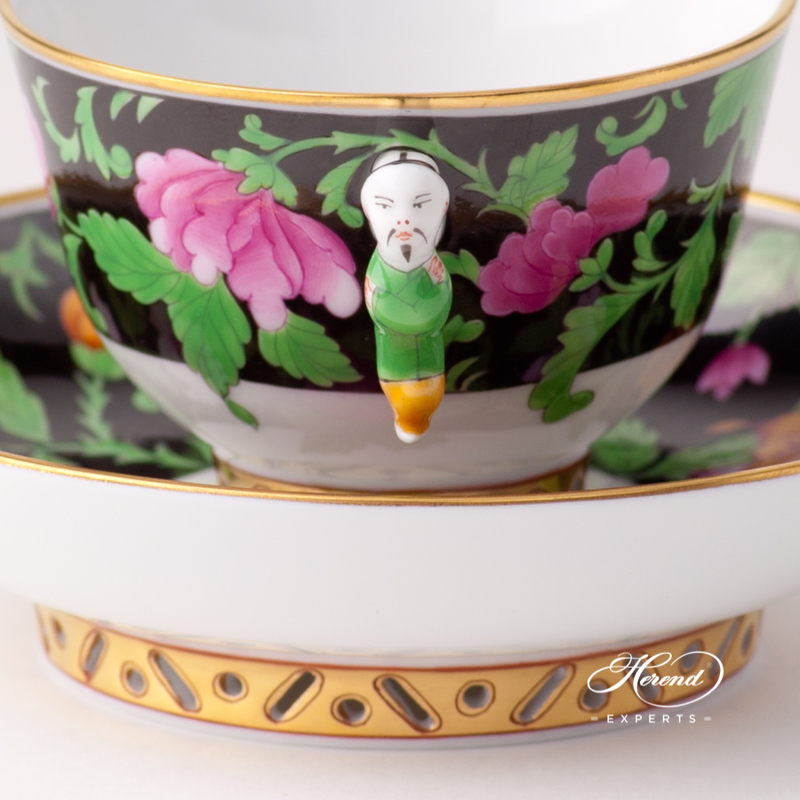 Cup w. Mandarin Handle and pierced Saucer. 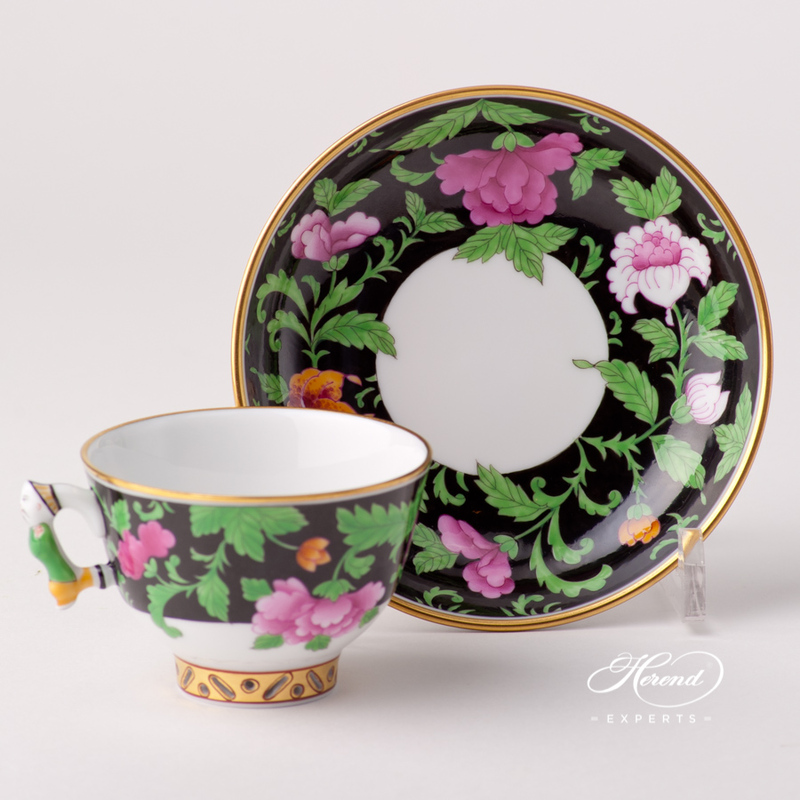 Guangxi Peonies design is painted in Chinoiserie and Oriental Style.